In September, we celebrate grandparents and enjoy a delicious pancake breakfast before school. 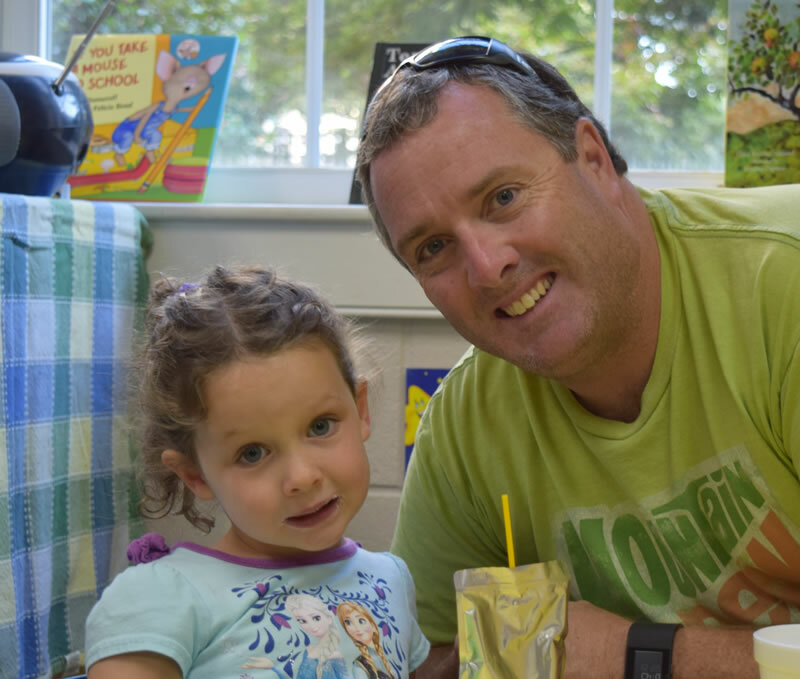 Dads are the special guests in each classroom during a morning visit including a special craft or activity. 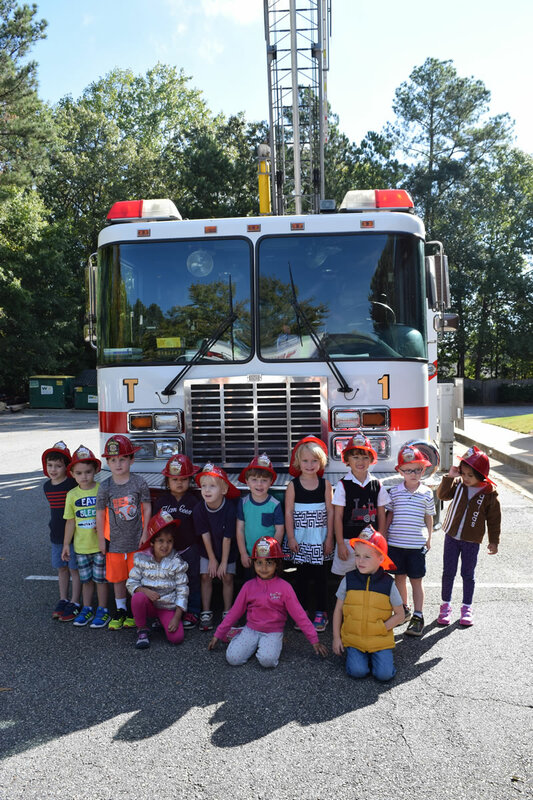 In October, our students learn about fire safety from Alpharetta firefighters and get up close and personal with a big ladder truck! Each classroom transforms a plain pumpkin into a whimsical Jack-o-lantern. Our staff and students dress up in fun and friendly costumes for a parade around the grounds. Parents are welcome! 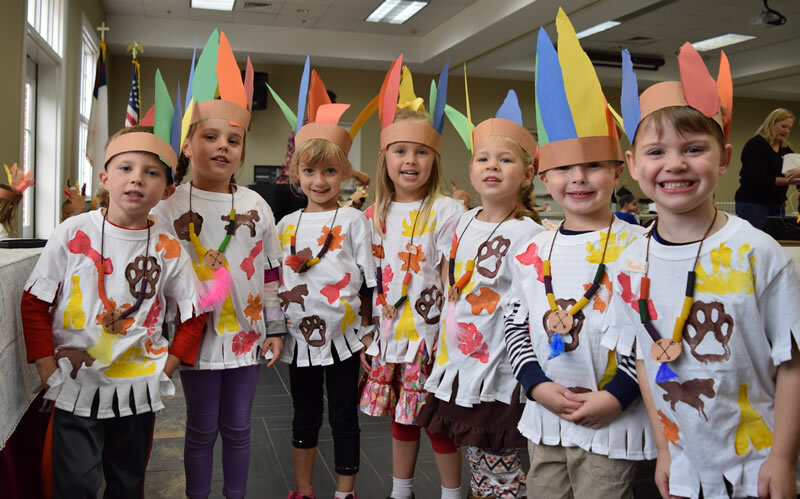 In November, Pilgrims and Native Americans gather together for a Thanksgiving feast. In December, we invite families and friends to help us sing in the season during an entertaining musical program. Our Toys for Tots drive encourages children to give back to their community. Each child who donates a toy enjoys an exciting miniature train ride through the church grounds! In February, our APC families visit “Tiny Town” in the church gym where students can visit child-sized store fronts containing fun activities including: driving through a bubble-filled car wash, mailing a letter at the post office, planting flowers at the nursery, decorating cookies at the bakery, getting a manicure or a “shave” at the beauty salon, and visiting real fire and policemen at City Hall. Our Preschool classes learn about taking great care of their teeth with an interactive visit from a local dentist. APC has the best teachers! We show them our appreciation during a special week in the spring. Mom visitors are queens for the day in each classroom with a special craft or activity. 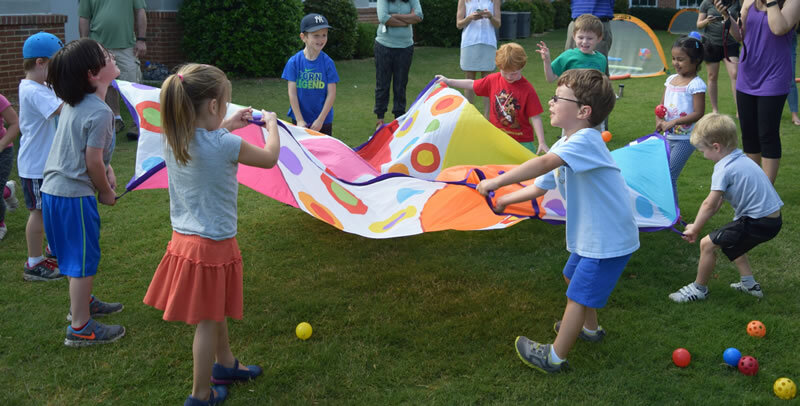 Our annual spring field day includes numerous fun outdoor activities and lots of delicious treats. In May, we celebrate our graduates who are ready for Kindergarten!